To stay competitive, successful businesses understand that managing time is as important as any strategy they implement. Mismanagement of this non-renewable resource can impact the bottom line. Take business travel, for example. A company that needs to meet with clients, or needs to attend an important trade show, or needs to get its Board members to a critical vote – can’t operate successfully by standing in long TSA lines, missed connections, or fighting traffic on long drives between commercial airport hubs and customers. Business travel in this manner actually impedes the growth process, redirecting crucial staff from the work at hand for unnecessary amounts of time. Bonneau Ansley, founder and CEO of Ansley Atlanta Real Estate, faced the same dilemma with his expanding company. As one of the fastest growing real estate companies in Georgia, and included on the INC 5000 list of fastest growing companies in America, he needed a travel option that allowed him more time to quickly meet with customers across the state and beyond. A share in the PlaneSense® fractional program provided him the perfect solution. With fractional ownership, Ansley can easily schedule last minute travel. The exceptional shorter field landing capabilities of the PlaneSense® fleet allows him to depart from the closet airport to his home and land at the airport closest to his clients. Instead of taking several hours out of his day to drive to distant meetings or fly commercially, Ansley can be at his next location in a fraction of the time. Maximizing time has been key to Ansley’s business. Fractional ownership provides a method of travel that is both economic and time sensitive. One of the larger benefits is the ability to fly on a schedule that fits your team, instead of trying to fit into the rigid schedules of commercial airlines. Ansley owns a share in one of PlaneSense’s PC-12 aircraft. With ample room for six passengers, generous internal cargo space, and the ability to access very small airports, the PC-12 is a unique option for companies who need to reach opportunities in remote areas or large cities. Fractional ownership has become more than an asset that just impacts Ansley’s business. He is also realizing the benefits of fractional ownership for his family. 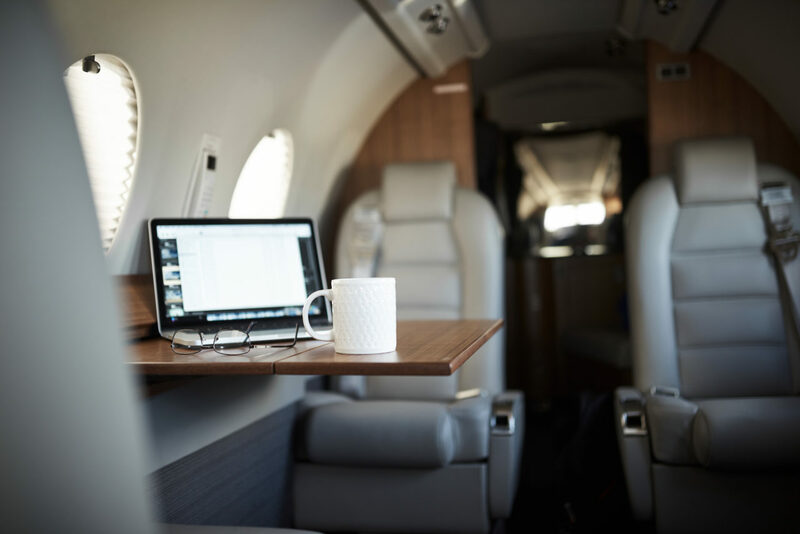 Would you like access to a business aircraft that makes travel and leisure time easier to come by? Discover time well spent with PlaneSense fractional aircraft ownership! Contact us today!